Perspectives on the challenges for European Integration were presented and discussed with distinguished speakers in course of this year’s wiiw Spring Seminar. 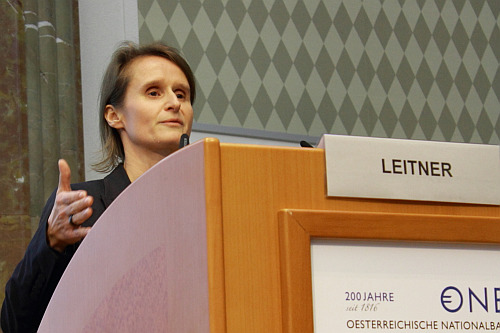 A seminar note by Julia Grübler. The 2016 wiiw Spring seminar took place on the 7th of April at the premises of the Austrian National Bank. 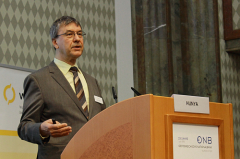 In his introductory words, Robert Stehrer (designated Scientific Director of the wiiw) argued that Europe is entering a new phase of development, in the political, economic and social dimension. The economic and financial crisis, the current refugee crisis and a sluggish global performance showed where the weaknesses of the current European system lie. 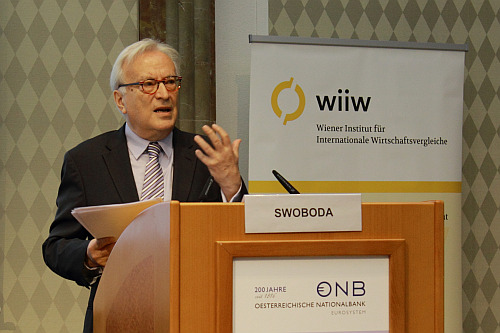 Hannes Swoboda (President of the wiiw and former Member of the European Parliament) introduced some pressing challenges in greater detail. He identified the lack of leadership to tackle European challenges and the uprising of populist parties as the core challenge, but also highlighted some important areas where strong European policies are needed: (i) investments, to create jobs, especially for the unemployed youth, (ii) trade opportunities, with a focus on specialisation, not on protectionism, (iii) a design of the European labour market to avoid discrimination and social dumping, and finally (iv) the refugee influx, where politics is not leading but following. In his view, a Schengen border cannot exist without a Schengen border control. Thus, his conclusion was that there is not too much but too little Europe. 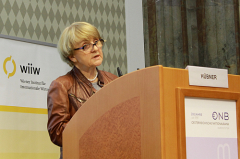 Danuta Hübner (Member of the European Parliament and Chair of the Constitutional Affairs Committee), highlighted the lack of confidence capital and solidarity capital in her keynote speech. The EU is perceived as a technocratic institution not capable of paving a path out of the crisis. This can be attributed to at least three factors: (i) The perception of the broader public that democracy and legitimacy are bound to the national level, while the EU is seen as a technocratic structure, partly also criticised for being undemocratic, even in areas where the European Parliament is heavily involved in the decision making and monitoring process. (ii) The step-by-step approach the EU is following often leads to unfinished business. What is missing is a finalité politique – an agreed upon final vision. The ability to act will be further limited with the upsurge of populist movements and an increasing use of referenda, possibly leading to blocking important European integration strategies. (iii) At the moment, the lack of community competences does not allow to tackle the complexity of the crisis and leaves Europe to be a reactive rather than an active structure, as the conflict with Russia has shown. The trend ‘less law, more soft-coordination’ as set by Juncker’s Commission has not proven to be efficient. Therefore, what is needed is legislation in crucial policy areas, pro-European leadership – which does not mean to follow but rather to face the crowd – at the national level, and to give first priority to improve the European Monetary Union to make fiscal policy work. In light of the European refugee crisis, Michael Landesmann (Scientific Director of the wiiw) presented wiiw’s work on migration, which in the past was largely focussed on East-West migration. Some results may, however, guide the current challenge of South-North migration. The analysis shows that policy regimes are not zero-one-regimes, but are differentiated allowing for transitional arrangements, with still a lot of national responsibility. Relatively recently, interest increased for the impact of migration on destination countries – differentiating across regions, industries and occupations – embracing topics of development economics such as skill shortages, brain drain, and effects of remittances. Yet, there is still a considerable lack of interdisciplinarity in the way migration is analysed. In particular, economic research tends to find more positive outcomes in comparison to social anthropology, sociology, and cultural research. In addition to adopting a multidisciplinary approach, future research needs to evaluate whether there is a difference in the integration process of migrants and refugees and to follow this integration process over a longer period of time. The CEE Region – a success story of integration? Both, the wiiw and the Austrian National Bank (OeNB) presented their most recent forecast for the Central and Eastern European (CEE) region, expecting GDP growth rates of around 3% for the EU-CEE and the Western Balkans during the years 2016-18. For Ukraine and the Commonwealth of Independent States (CIS), especially Russia, anaemic growth is expected to return only by 2017 and is strongly dependent on the development of the oil price and the implementation of structural reforms. 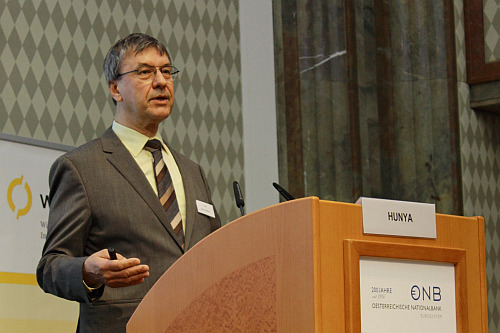 Gábor Hunya (Senior Economist, wiiw) identified household consumption as the main growth driver, while investments are only slowly recovering – with the Juncker Plan not able to compensate for the temporary decline in EU transfers in 2016. Doris Ritzberger-Grünwald (Director of the Economic Analysis Department of the Austrian National Bank) highlighted the latest Euro Survey results, indicating that people in the CEE region are on average optimistic about the future, that foreign currencies still play a major role in these countries, even for private households, and that plans to take loans dropped. Sandra Leitner (Senior Economist, wiiw) took up the issue of lack of investment and the drop in plans to take loans by presenting recent work [JG2] on the role of financing constraints for innovation. The results presented indicate that financing constraints are indeed detrimental to innovative activities and exert a strong discouragement effect. 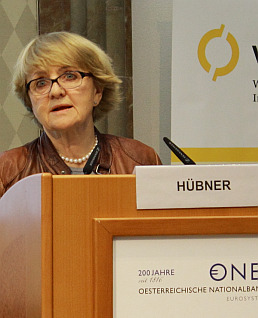 While Sandra Leitner focused on private investment, Mario Holzner (Deputy Director, wiiw) underlined the role of public investment, specifically in infrastructure, for the Western Balkan region. He illustrated that structural underdevelopment and low competitiveness impedes the catch-up process of the region and argued for fiscal devaluation and non-performing loans resolutions to foster competitiveness and private investment in the short run, but emphasised that public investment in infrastructure is key for the long-term economic development of the Western Balkans.